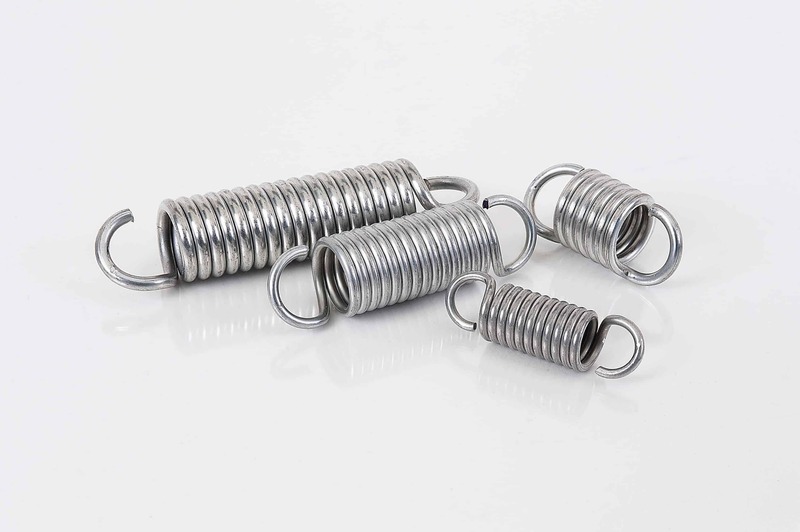 Cot springs offer high loads in static applications with small deflections. Ends are easily installable machine hooks. Material is MBHD (Medium Basic Hard Drawn) Carbon Steel – finish is zinc plated. Nine stock sizes from 1 & 5/8 to 3 & 3/4 inches in length offer maximum loads ranging from just over 18 pounds to just under 50 pounds.